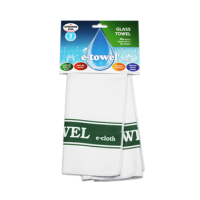 All you need are our ultimate Glass Towels to dry glasses with one wipe and leave them sparkling. The results are so stunning, drying glasses will be a pleasure, believe us. Excellent product. 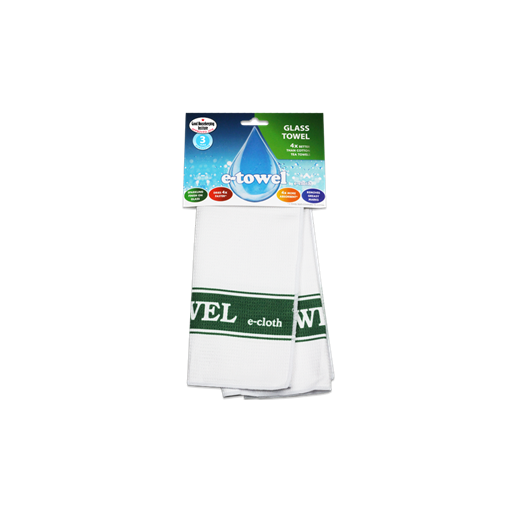 I'm amazed at how simple and quick it is to clean windows with these cloths-it is literally a case of rinsing the bigger one in water and giving the glass a quick wipe then drying with the smaller cloth. Plus because they leave no streaks they are particularly good for cleaning off one or 2 little handprints without the whole window needing to be cleaned. We use these all the time. Much easier to use than Windolene and leaves a better finish. 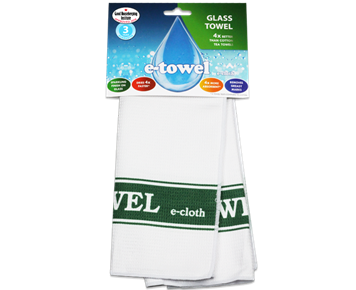 Another way to reduce the amount of cleaning chemicals used in the home. Wouldn't be without them.